Learn to conquer stars, spikes and curves as Jacqueline guides us through her version of "Miss Rosie". If a large quilt is intimidating for you, start with the center medallion until you realize that ah ha moment - "I CAN DO THIS!" 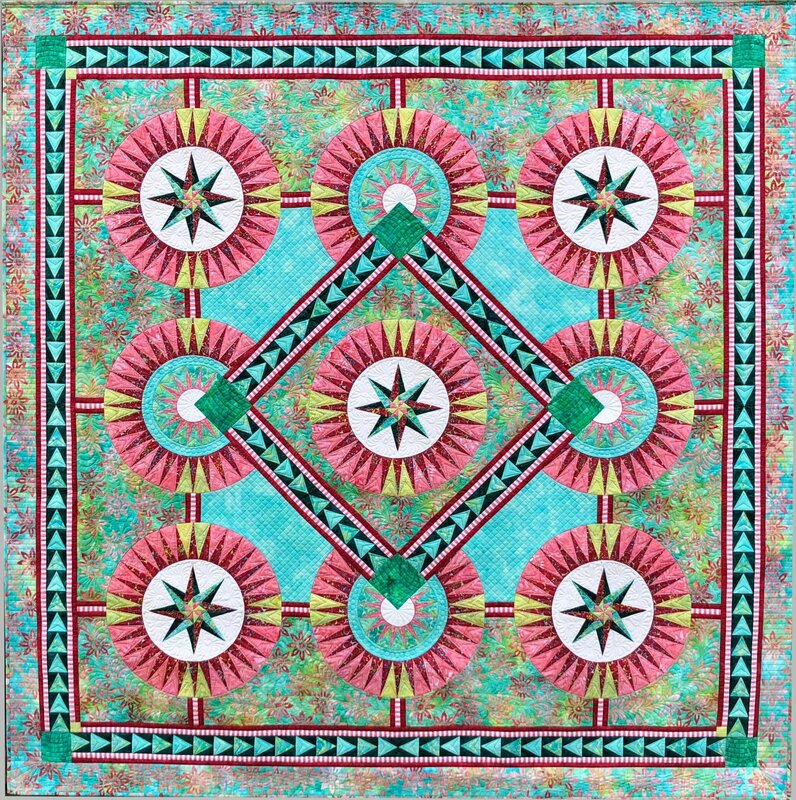 Jacqueline's beautiful batiks from Anthology will be available here so that we can help you put your colors together for this beautiful quilt! Fabrics purchased from Quilt 'n Sew for your project will be offered at a discount for those in the class. On day #3 you may bring in other Be Colourful patterns for Jacqueline to help you with. Half down is required with registration and is non-refundable. However, if your plans change, you may sell your spot. Full payment is due at the end of March. Class fee includes snacks, lunch, drinks and fun each day.